For anyone who wants to understand the full story that lies within a glass of wine, this book opens up the inner secrets of the geology, the vineyards, the wines, and the growers of the northern Rhône Valley in France. Home to the spicy Syrah, or Shiraz, and the floral Viognier grapes, the northern Rhône Valley is one of France's oldest wine-growing regions; its appellations include Hermitage, Côte-Rôtie, Condrieu, Crozes-Hermitage, St-Joseph, and Château-Grillet. With evocative descriptions and marvelous insights, this accessible, elegant book, the culmination of more than thirty years following the Rhône, is a comprehensive and authoritative survey of the various estates, winemakers, and their wines. 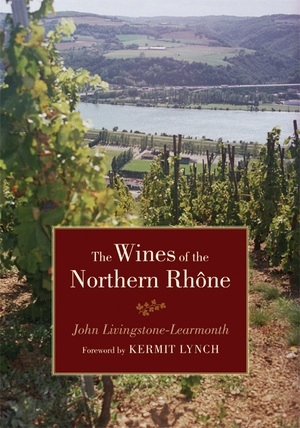 Taking a deeper look at the northern Rhône than Livingstone-Learmonth's highly regarded previous volumes on the Rhône Valley, this revised and up-to-date edition covers more producers and includes more in-depth information on the various terroirs, the histories of the wines, and the methods for making the wines. Livingstone-Learmonth concentrates on letting the producers explain their outlook and methods and includes much local color. John Livingstone-Learmonth is a noted wine writer whose work is regularly featured in Decanter, the leading British wine magazine. He is a long-term contributor to the Hugh Johnson annual Pocket Wine Book and author of The Wines of the Rhône (third edition, 1992). Kermit Lynch is a wine importer and retailer and the author of Adventures on the Wine Route: A Wine Buyer's Tour of France and Inspiring Thirst.